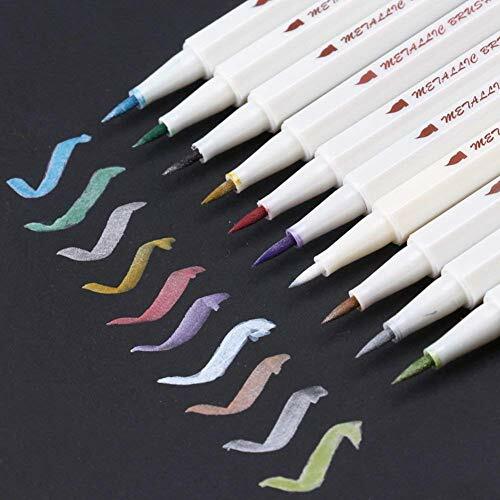 RICH VARIETY COLOR: Set of 10 Color, Gold, Silver, White, Pink, Olive, Green, Blue, Black, Purple and Brown. Color: White, Red, Olive, Green, Gold, Silver, Purple, Blue, Grey, Brown. In order to get the best use feeling,keep the pen horizontal.